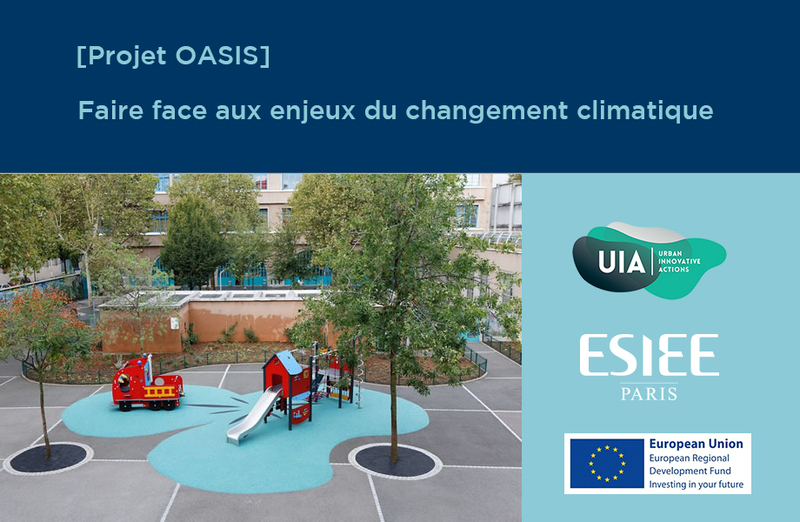 Following the 3rd edition of the European Union’s call for Urban Innovative Actions (UIA) projects, ESIEE Paris is participating in the FEDER* Urban Innovative Actions project, “OASIS”, which started in November 2018. This 3-year project, led by Paris city hall, aims to transform school and college playgrounds into "islands of freshness" in order to welcome residents in the event of a heatwave (during the school holidays, for example). This project is part of Paris city hall’s Resilience Strategy. Martin Hendel, a professor and researcher at ESIEE Paris and a member of the Interdisciplinary Research Laboratory for Future Energies (Laboratoire de recherche Interdisciplinaire des Energies de Demain, LIED), is in charge of the microclimatic and thermal evaluation part of the project, using measurements carried out "in situ", before and after the works. He has developed a specific methodology for evaluating the impact of the project, combining on-site measurements and an experimental laboratory system, before and after the introduction of the "Oasis school yards ". This will make it possible to analyze soil behavior as accurately as possible and to strengthen scientific knowledge in this field. This work brings together the research laboratory LIED, Météo France, LIEPP (Laboratory for Interdisciplinary Evaluation of Public Policies, Sciences Po), CAUE75 (Council for Architecture, Town planning and the Environment) and the Ligue pour l'enseignement.